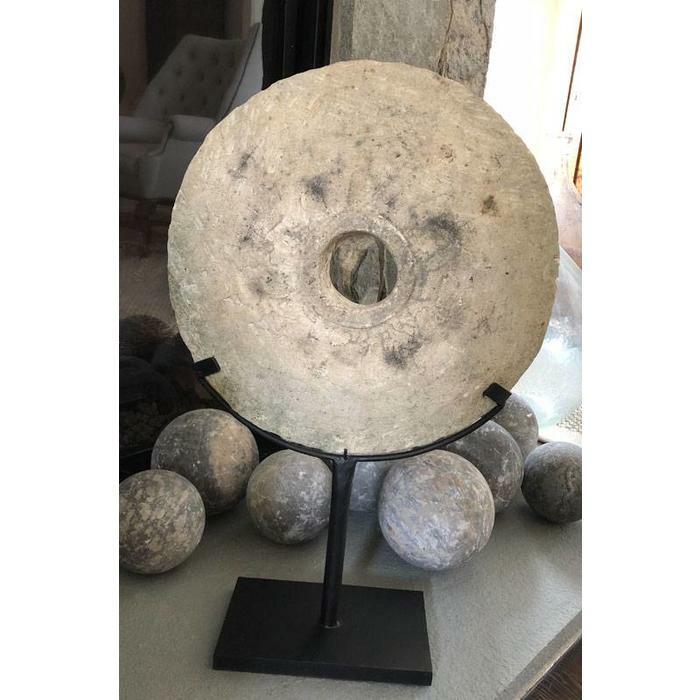 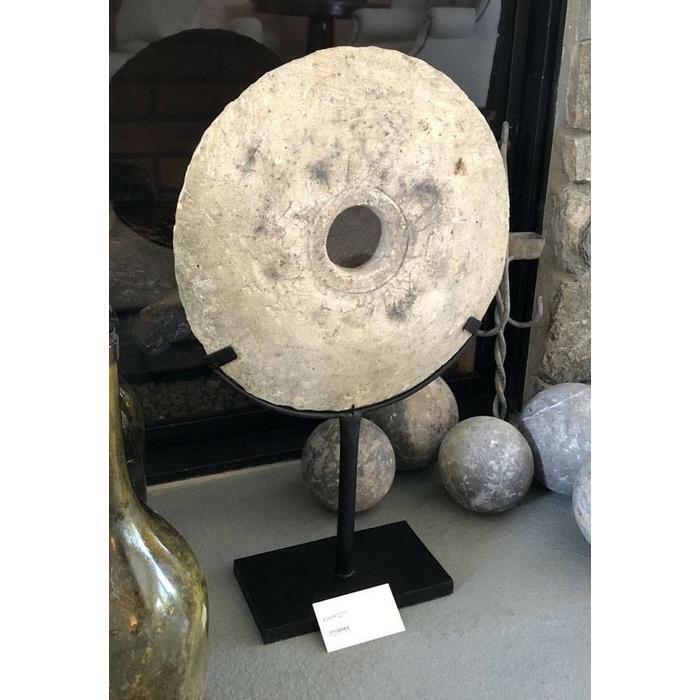 Carved white stone disk with metal pedestal makes an impressive decorative object. 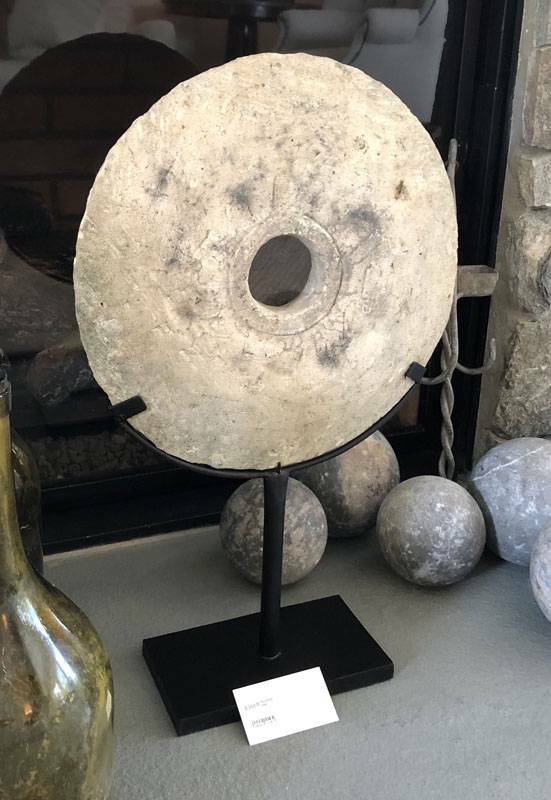 Overall height is 23.5". 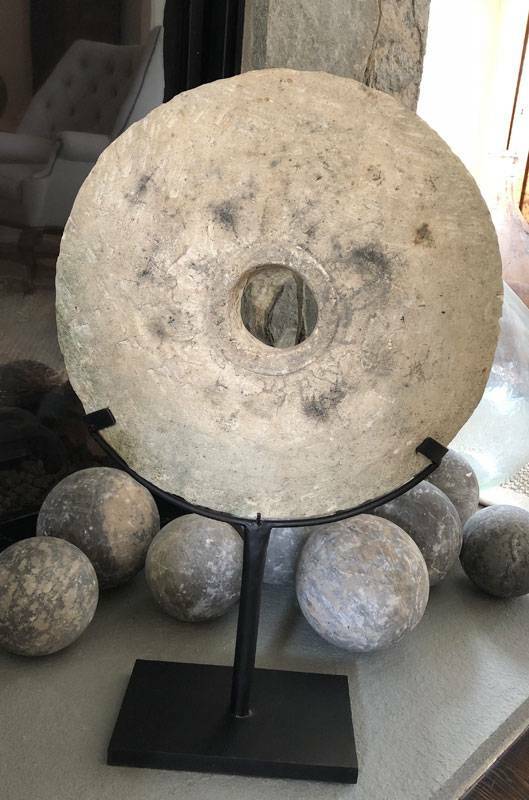 Disk is 14" in diameter.